Selling a house is a complex process, no matter the strength of the real estate market. Regardless of your experience with the transaction, you will inevitably be met with the following questions: Do I need to hire a real estate agent? How much paperwork is required to finalize the sale? How can I get the best price for my house? How do I sell my home and a buy new one in a simultaneous fashion? There are two primary ways to sell your house—with a real estate agent or without one. Before you evaluate your specific need for a real estate agent, you must understand the value of your home. Get your home appraised; this appraisal will be the basis for your asking price. In addition to the appraisal, you should undertake a home inspection. This process is important to avoid complications during your sale. Discovering problems during the pre-sale process will allow you to avoid potential pitfalls before you engage in the formal sales process. Selling a house requires an adequate estimation; the figure must be in line with the market. A seller’s biggest mistake is overpricing; the price of your home must fall in line with other properties that have been sold in your area. If the inspection uncovers problems with your home, it is imperative that you acquaint yourself with your state’s disclosure laws to avoid future litigation. Disclosure laws will vary from state to state, but in general, they will require you to disclose—either verbally or in writing—the presence of hazardous materials in your home or any flaws in construction. If you are unsure regarding what to disclose, you must consult with an attorney, a local housing authority or a real estate agent. The appraisal process and the home inspection process can be conducted without a real estate agent. After these procedures, you should most certainly contact a real estate agent to facilitate the sales process. Selling a house by yourself is exceedingly difficult; the inclusion of a real estate agent, although pricey, will streamline the sales process. Roughly 95% of homes are sold with a real estate agent. Real estate agents may work independently or for a company that serves as a broker for selling a house. The broker will sign the agreement with the seller; agents will receive commission and pay a fee to the broker. Experience: A suitable real estate agent will understand the complex procedure and paperwork required for selling a house. The majority of real estate agents will be licensed through state-run programs. Saves Time: If you hire a real estate agent to sell your house, you will not have to spend time conducting tours or scheduling meetings with prospective buyers; real estate agents will save you considerable amounts of time during the sales process. Evaluating Offers and the Market: Real estate agents will discern serious buyers from those simply looking at your house. An experienced realtor will understand the market; these professionals are adept in analyzing trends, which ultimately will help you maximize your profit. Negotiating: Real estate agents utilize their negotiating skills to help you secure a good price for your home. Caravans: Real estate agents will typically conduct open house for buyer agents; these professionals will arrive to your home in groups to evaluate your property. This process, which is always expedited, allows buyer agents in the region to tell their clients about your home. How do I Choose a Suitable Real Estate Agent? 1. How many years have you been in business? 2. What is your commission? 3. What is your strategy in regards to marketing my house? 4. How long have you sold houses in this region? 5. How many houses did you sell last year? 6. What is your commission? 7. Will you organize meetings with prospective buyers and will you coordinate with these individuals personally? 8. Can you provide me with references? After you select the agent you most desire, you must get your home ready for sale. The steps for preparing your house for sale are extensive. As a general rule, you must clean and declutter your house. You want it to look pristine; your house must be presentable for prospective buyers. You may want to hire a professional stager to present your home or ask your real estate agent for tips with regards to staging. In addition to cleaning, you should also make the necessary repairs before you sell your house. When you prepare your house, you will want to pinpoint the desirable aspects of your property. You and your agent must identify the selling points of your property. 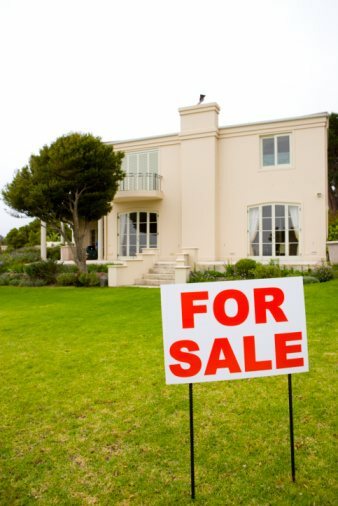 This effective advertising technique will draw prospective buyers to your property. Showing your home is the process of connecting your home with prospective buyers. In this process, buyers from all over will observe your home through an open house. After you hold these showings your agent will ask for buyer feedback so you can adjust your price, market campaigns and condition accordingly. After you show your home, offers will start trickling in. At this time, you must make sure that buyers use the right form for writing a purchase offer. Even if you receive undesirable offers, you should negotiate by issuing a counter offer. You should never ignore an offer. When negotiating do not be afraid to make counter offers. When you agree on a buying price, your agent will open a title policy or escrow. At this time, you must select a date to close based on when the buyer’s loan will fund. Be sure to ask for a receipt for the buyer’s earnest money deposit.